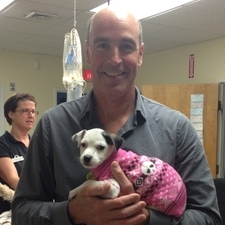 I graduated from veterinary school in 1987 and moved to the seacoast region . I am married to Cindy Wojcicki and have two children Abigail and Joseph. We have 2 dogs, Izzy and Tootsie, as well as 2 cats, Willy and Iggy. I am married to Laura Mitchell and have two children, Hanna and Ripley. We live on a farm with 14 horses and lots of chickens. Pets at home include Tia our Jack Russel Terriers and 2 cats, Yaz and Bella. My interests include hiking, camping, skiing, and woodworking. I just completed my second Iron Man triathlon. 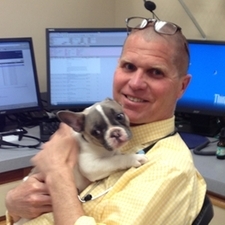 I am the Practice Manager here at PAH. I have been employed at PAH since 1994. 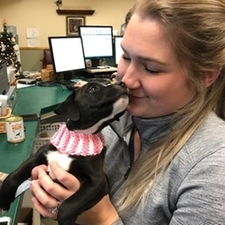 Although my job title is the practice manager, I'm still involved in the technical aspect of veterinary care on a daily bases. I have one pet. 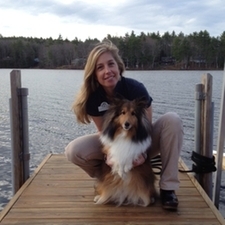 She is a Shetland sheepdog named Iris. I have been fortunate to work for Dr. Marchell and Dr. Schafer for 25 years. I am proud to be part of this team. 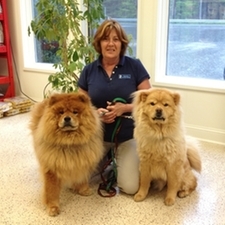 My name is Marjorie MacLeod, and I have worked at Piscataqua Animal Hospital for 23 years. 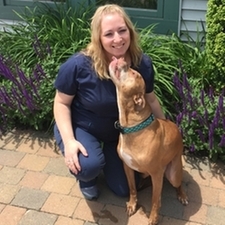 I graduated from Stratham Technical College with a degree in Veterinary Technology. I have enjoyed many years of working with small animals and look forward to many more. I have been at Piscataqua since September of 2004! I have been a northeast coodinator with Dogue de Bordeaux rescue since 2006 and have owned and fostered over 23 dogues. I have a 5 yr old daughter who loves animals as much as I do! I enjoy traveling and going to Puerto Rico with my family each year. I now live in Eliot with my 2 dogs, 3 cats, 2 goats, 'Lexi' my Mollucan Cockatoo and roughly 200 birds. I have been at Piscataqua since 1998. I enjoy working in my yard, gardening, landscaping and building lofts and flight cages for my Homing, Tumbler and American Fantail Pigeons. I get alot of help from my 6 year old grandson and he enjoys grammie's mini farm. I have been at Piscataqua since May of 2014! 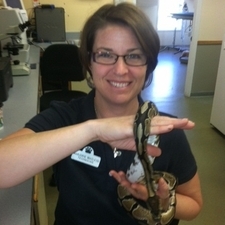 I graduated from UNH with a degree in Veterinary Technology, and while I love working in small animal care, I have a special interest in exotics and wildlife as well! On the weekends I love spending time outdoors hiking and enjoying the beautiful maine coast, watercolor painting, and reading. I am passionate about land conservation and love visiting National Parks, my favorites I have explored so far include Canyonlands and Zion in Utah, but I look foward to expiriencing many more! I have a 5 year old cat Nova.